When it comes to learning a new language, at first it can seem like an intimidating task. Learning a new language takes skill and commitment. However there are tricks that anyone can become and there are many ways to learn Icelandic quickly. There are many ways to become a faster learner. Ways that could maybe allow you to learn a language in a fraction of the time. Icelandic is the language that we will be focusing on. It is the native language of Iceland. Believe it or not there are ways to trick your brain to get better at studying a new language. One of the most common ways to help you become more fluent in a language is drumming. Yes, did you know that when we are young we tend to distinguish our sound of our native language even before we can fully understand it? When we are young we recognize the rhythm of our language since we’ve heard our mother speaking it even before birth. Even therapist use drumming as a way to to help children learn the different rhythms that come with new words in a language. It’s directly connected to our brains’ ability to recall, recognize and repeat words and sentences whether we’ve heard them or not. When learning Icelandic, make sure to practice the rhythm of speech and work on the pronunciation to help with your overall learning. Make sure to start with the most basic vocabulary and general phrases. Like any language, you want to start off easy. It certainly helps when it comes to the more complex verses or phrases. One very useful way to learn Icelandic at a much faster pace is to talk to yourself. Talking to yourself can be an amazing benefit when it comes to learning a new language. Did you know that the sound of your own voice helps you improve learning? This can certainly be a great way to trick your brain into learning a lot more. It can especially help when you are speaking out loud as the sound of your voice can actually trick parts of your brain to focus more on the words. Many studies have also put an emphasis about the fact that you, yourself tend to listen to the sound of your own voice more often as opposed to speaking to others. Saying the language to yourself can certainly help attain your focus longer without the urge to get distracted. The next time your out studying on your Icelandic make sure to speak the language out loud as you are practicing. This technique could also be a very helpful when it comes to those who have a short span of attention such as those who may struggle with ADHD. This however obviously works with anyone who wants to improve their memory to memorize more information in a shorter period of time. Another way to learn Icelandic quickly is attaining a certain smell to the topic. Whether it’s flowers, or cologne, smell tends to bring back memories and help you remember content when it comes to studying and learning. Everyone has certain food smells that bring flashback memories. There are reasons for this, and that is that smell is very closely linked to out memory. When it comes to the brain, the parts that are linked to making and strong memories are located next to the parts where smell is processed in the brain. This means that you can use smell as an advantage to trick your brain and help you remember more the next time it comes to practicing Icelandic or really anything that is being studied. One of them is to repeat over and over again. It’s no coincidence that repeating content or any notes helps you remember and learn a language much faster. Reading over any notes and re-saying phrases is what will continue to help you. Practice makes perfect. Just focusing on studying can overall become tiresome and may take longer than expected. However the brain also tends to learn when you aren’t as focused. For example you can have some Icelandic music playing in the background while working on an activity and a part of your brain will still pick up that information while you are doing other activities. Music is another way that can significantly help with the learn Icelandic quickly. Listening to music in another language can certainly help you learn it much faster. You don’t even have to know what they mean. We all remember our favorite songs as a childhood and songs on our favorite TV shows. The reason for this is that music is a powerful way to learn a new language and remember more of what you studied in the long-term. It has been shown that music tends to “light up” or brain in multiple areas all at once. Music engages in multiple parts that work with the auditory processing and emotional response along with the memory. Overall music helps our brain learn work together and works in any language. Another benefit is music can help you better connect with the culture of a country. Music is a huge part of any language and listening to its rhythms can help one to become more aware of the way the language is structured. Lastly a way to improve your learning in Icelandic is to taking written notes and noting critical info. Writing notes on paper has been proven to work better than a computer. It helps your memory remember much more efficiently and at a faster rate. Handwriting your notes is very useful and another tip would be to even rewrite your notes a second time. 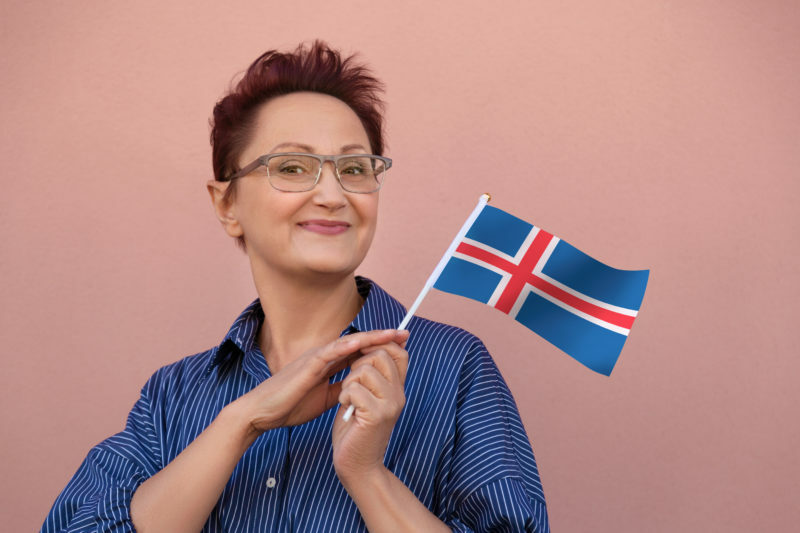 Overall there are many ways that one can utilize to help improve their Icelandic. Learning any new language is no easy tasks but there are certainly ways that you can learn much faster and cut some learning time by optimizing on your time and tasks. These trick and tips can ultimately help with any language. These are science-based methods that have been proven to help you learn and memorize it much better. With persistence and putting in the hours anyone can learn any language, but hopefully these techniques can help you with learning much faster ultimately saving time for you.